Before anything else ….. Understanding that a big chunk of style depends on a confident attitude. Self-confidence doesn’t just help you engage with women. It’s an internal driving force for remembering who are you are, What you stand for. How do you build that confidence? Start by learning from a good mentor. An older guys who exudes confidence the second he makes eye contact with anybody. truth: books are always judge by covers. Appearances do matter. Especially when it come to first impression. Isn’t good personality still important? Absolutely. But some people won’t ever be exposed to it if they can’t see your lackluster “cover”. To nail first impressions, your style and image have to work within society’s system of what acceptable -what’s expected of your professionals. You want to dress in a way that can easily grant you those precious second to sell a thought, make your case ,and influence others. that means you to take your more seriously. Any young doctor , lawyer, consultant or salesman need to understand this. A simple trick to add maturity to your outfit? Use a vincero watch.It’s a great alternative to today’s luxury or name brand watches especially for young professionals. Their quality is light year ahead of all those similarly priced ,cookie cutter watches. Vincero makes you stand out stylishly -to build connections with those who can help you get ahead in your career. Still wearing running shoes all the time (even when you’re NOT running)? Explore other options. Why? It boils down to a traditional school of thought that’s still alive and well these days: you can judge a man by his shoes. Finally, don’t fall prey to the whimsical whims of fashion. Mainstream fashion trends change too fast to really become staples of your style. And young men can’t afford a complete wardrobe overhaul every month. 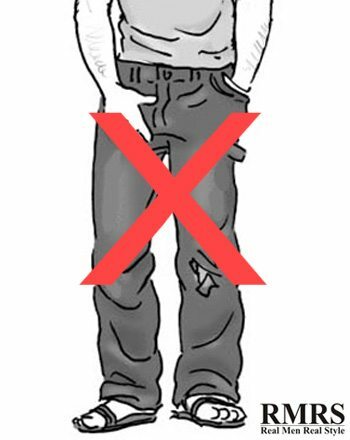 So avoid anything that doesn’t survive past an “in” season (like skinny ties and jeans). Stick to timeless clothing pieces and classic colors, patterns, textures, and combinations (those which have existed since your parents’ and grandparents’ younger years) – since those will never disappoint. Certain jean styles might’ve been trendy during your teenage years (like tears, holes or distressed looks). Eliminate those pants (or clothes with similar styles) from your closet right away. You want to move past that rebellious, individualistic phase for good. Upgrade your legwear by sticking to what works: clean, well-fitted indigo jeans. Also get a couple of dark-colored slacks or chinos (either straight or slim fit) to add some variety.